Congratulations to Sara S., the tour winner and to Urban Girl Reader, the host winner. 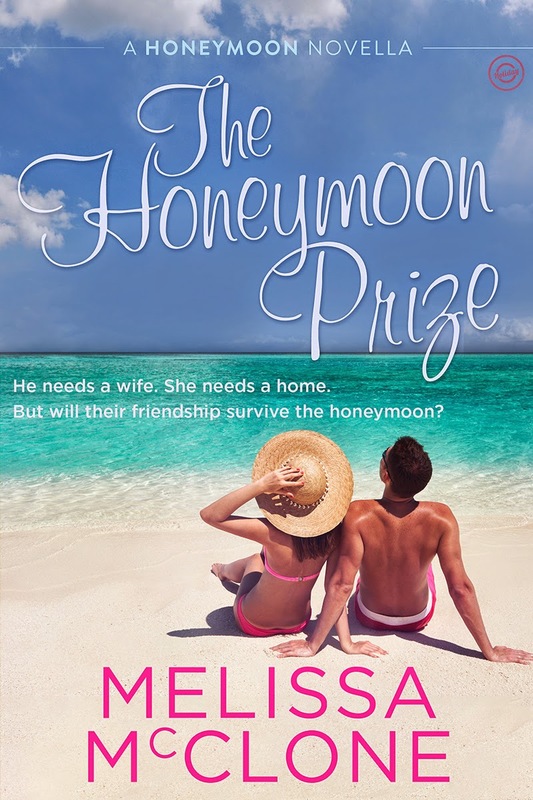 Goddess Fish Promotions is organizing a Virtual Super Book Blast Tour for The Honeymoon Prize by Melissa McClone, a Contemporary Romance book available now from Tule Publishing Group. The Super Book Blast Tour will take place from August 18 - 22, 2014 and is limited to 10 stops per day. This tour will not include interviews or guest blogs; however, a blurb, excerpt and author bio will be provided to every host for inclusion on their blog. Additionally, a PDF copy of this story is available for review in conjunction with a promo post. Melissa will award a $25 Amazon GC to a randomly drawn winner via rafflecopter during the tour and a $15 Starbucks GC to a randomly drawn host. please put me down for August 20th. I can host any of those dates. Dena Garson can host on Aug. 18th. I'd love to be a host at Reviews and Interviews on 8/19. thanks! I can host and review on the 20th. Thank you! I can host on August 19. I would like to host a promo on August 18th. I would also like to review but it may not be until later in the month that I can post the review. I'd love to participate on the 20th as long as it's ok that this is my 2nd post of the day!